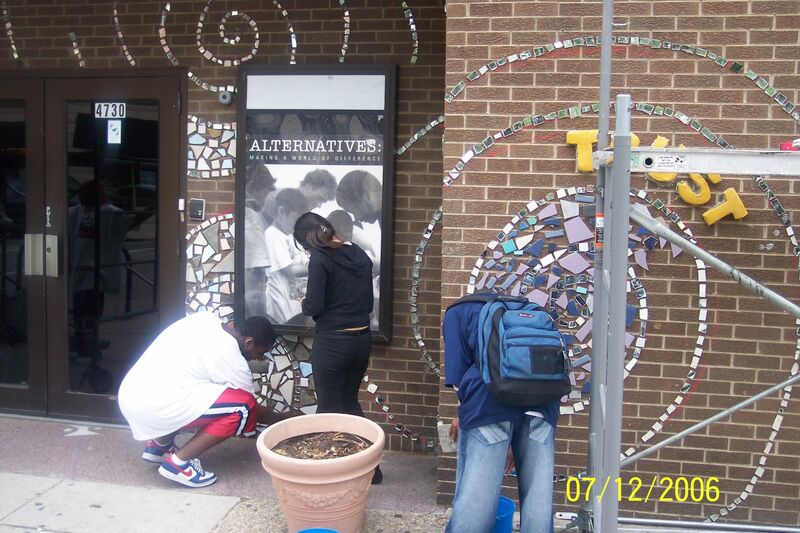 Looking back on Alternatives' Bricolage Projects - Alternatives, Inc. 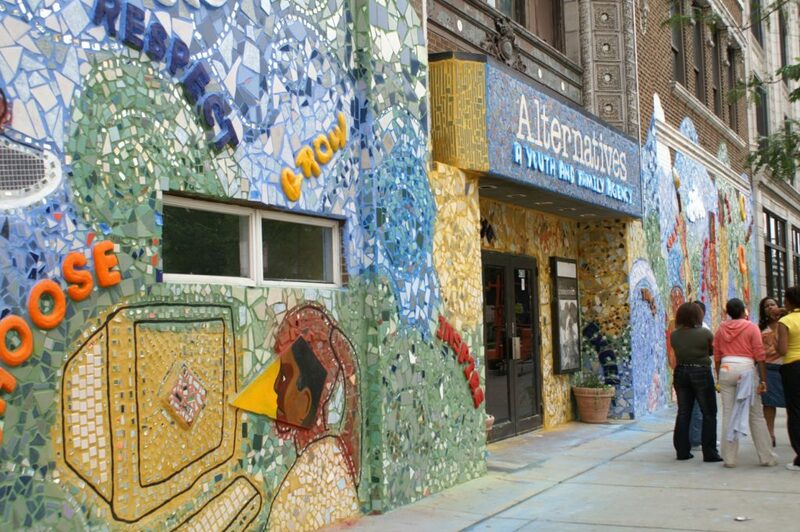 The Bricolage mural on the façade of Alternatives’ youth center was a rich, collaborative, youth-driven public art project. 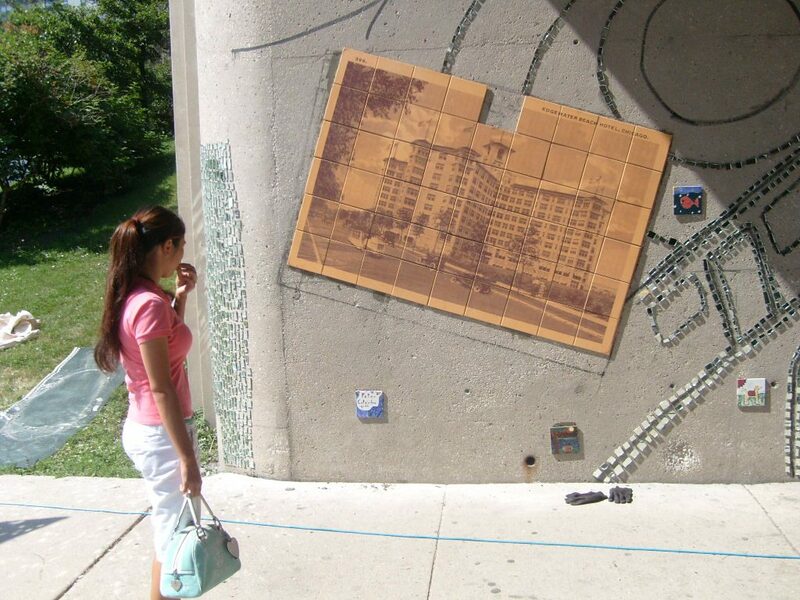 People commonly think of it as a mosaic, but Bricolage is a methodology of combining a wide range of different found materials, in this case including mirrors and ceramic tiles. 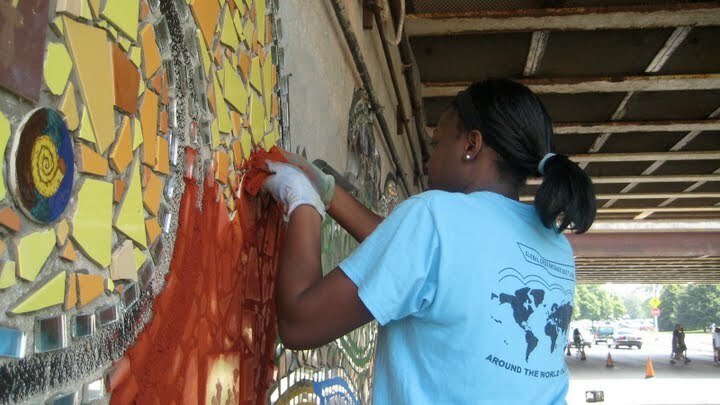 Over the course of the summer, there were multiple community members who joined the young people in completing the project. 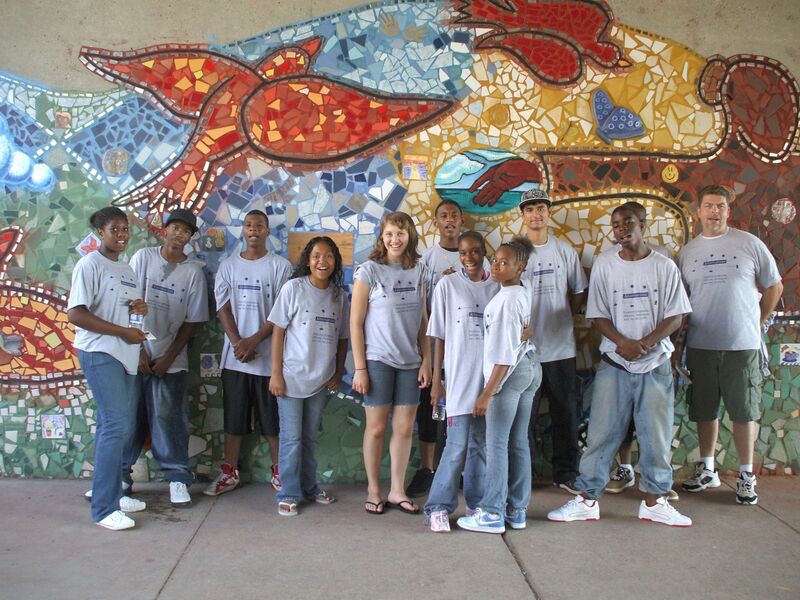 It started as a juvenile justice diversion program and expanded to include summer employment programming. 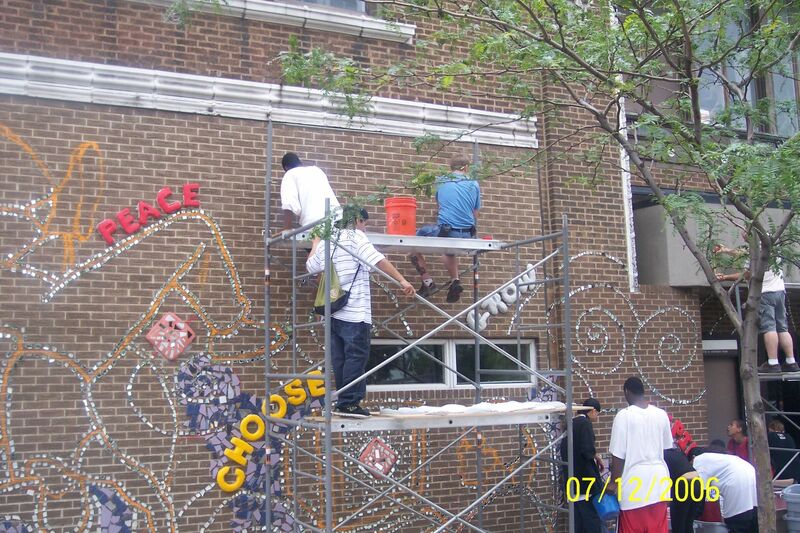 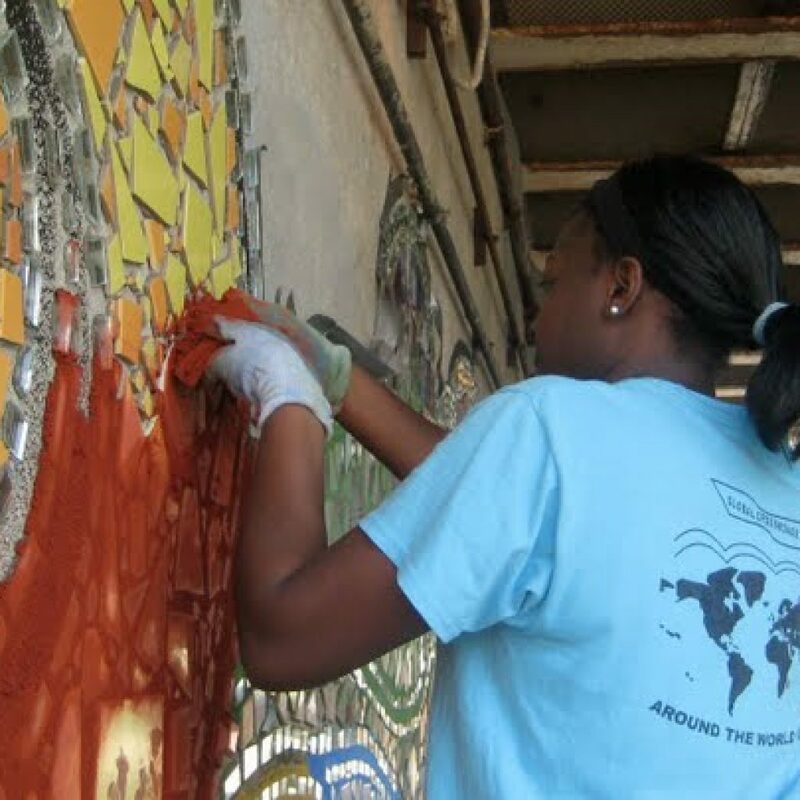 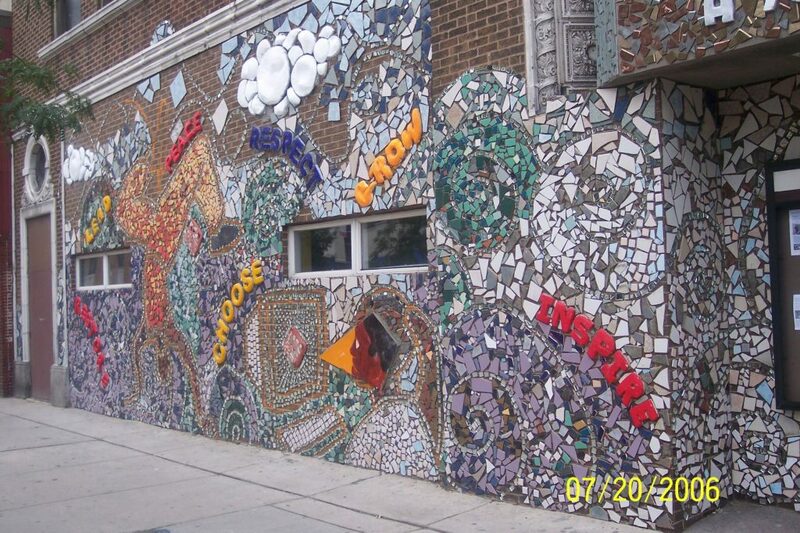 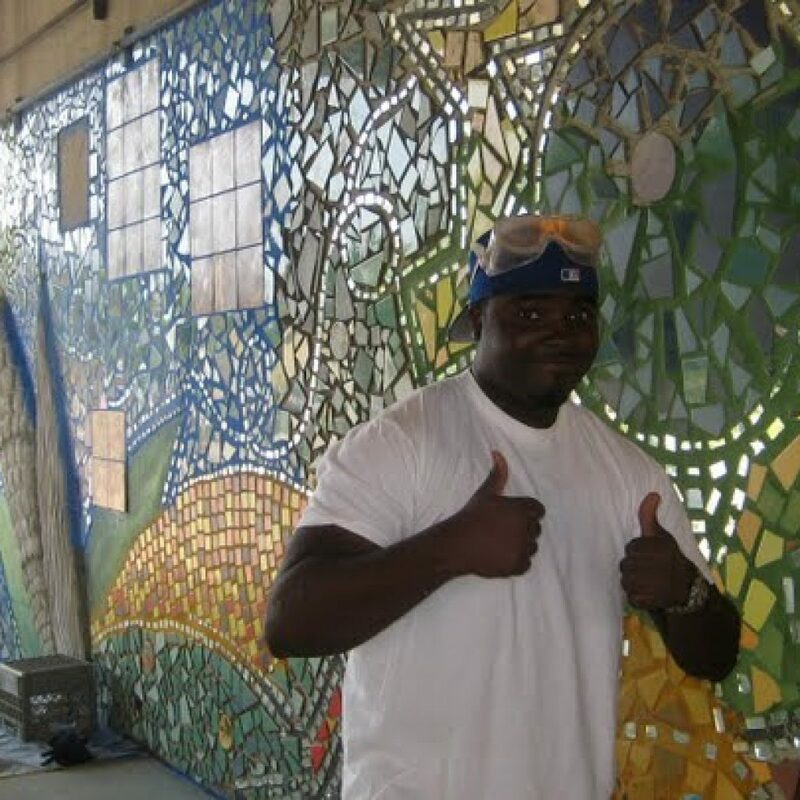 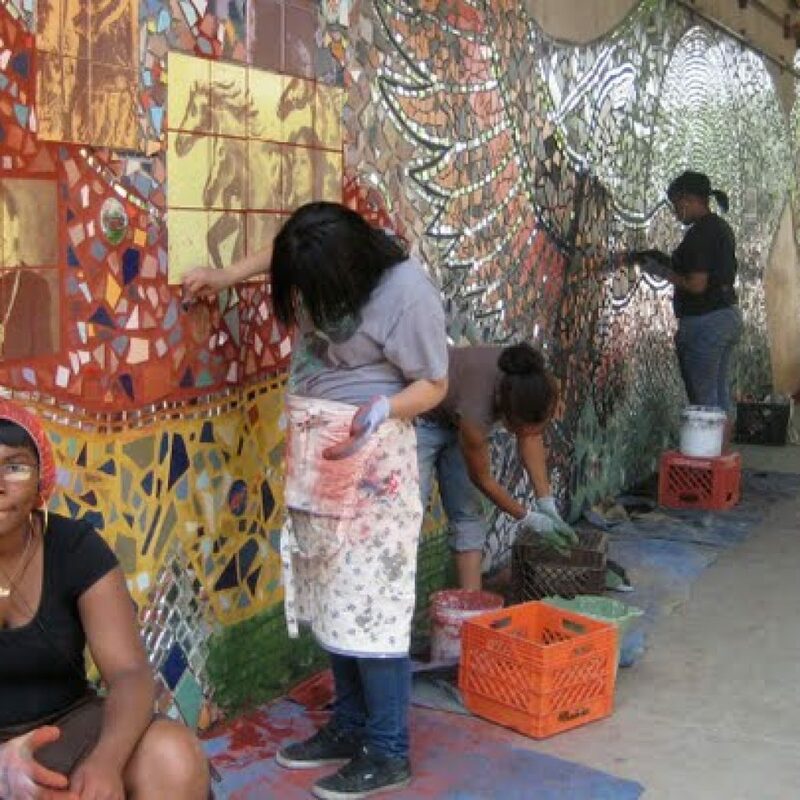 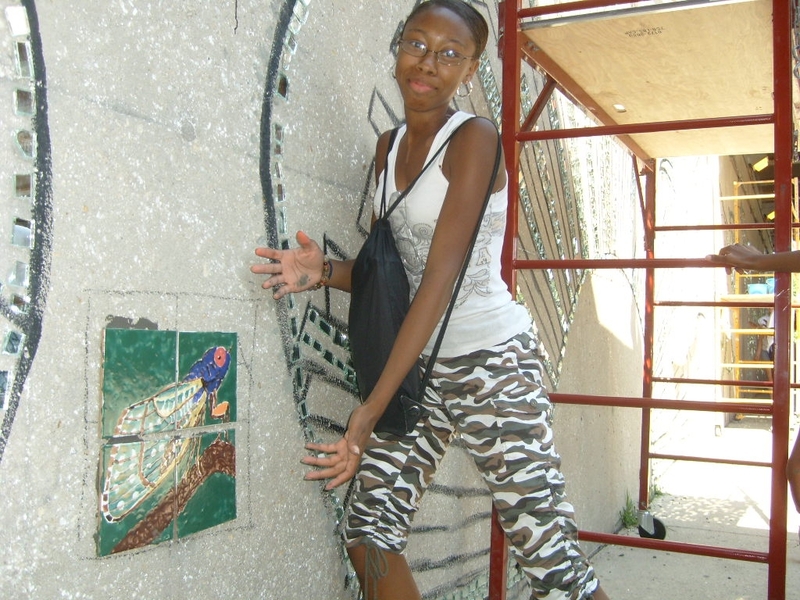 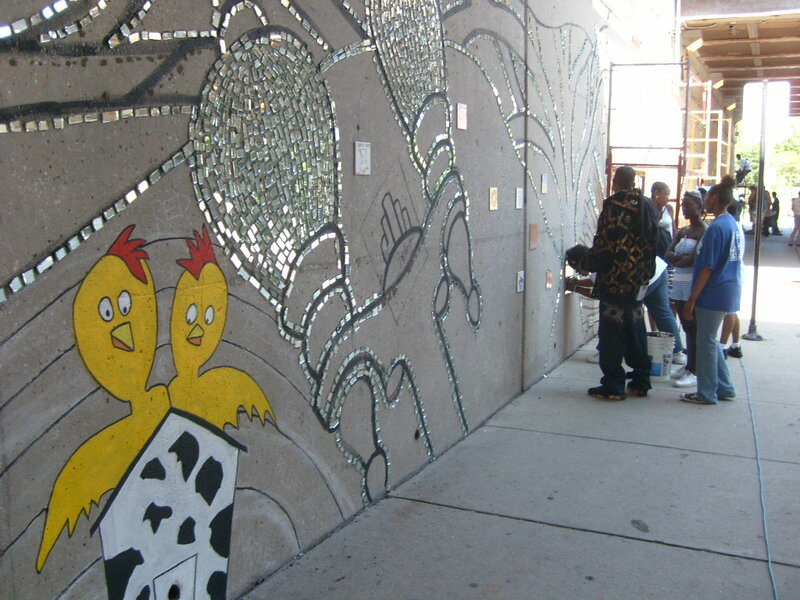 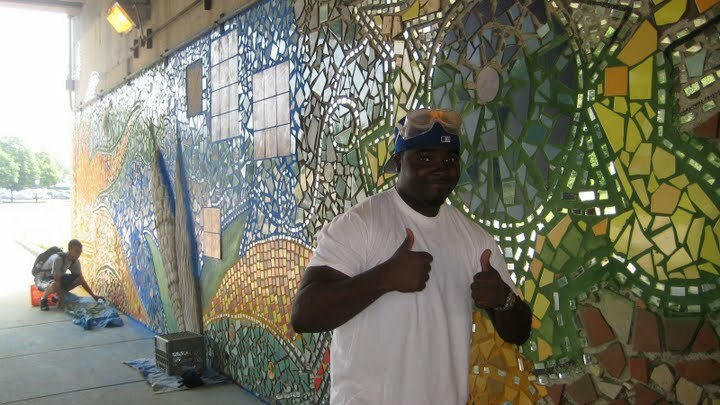 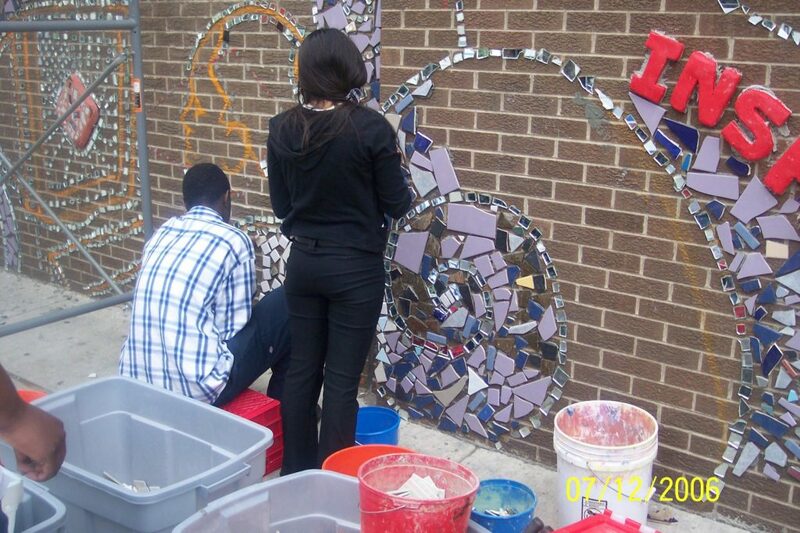 The young people collaborated with artists, Tracy Van Duinen and Todd Osborne from the Chicago Public Art Group, in 2006 to develop a unified concept and pull in themes of what is important to youth. 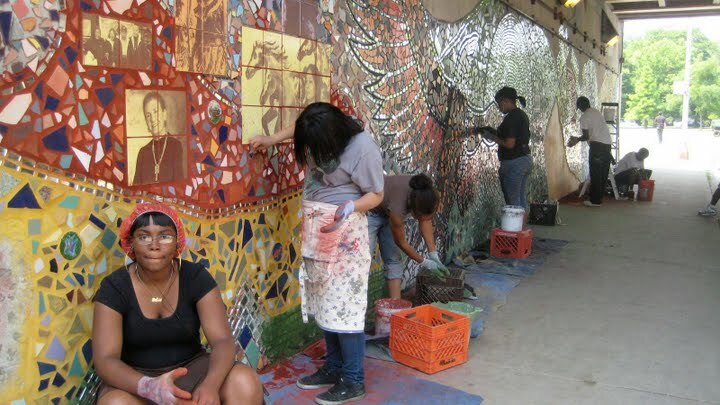 In addition to being a great way to create a beautiful piece of public art, Judy talks about the way the project impacted the connections within the community, and created opportunities for young people and adults to discover their substantial common ground. 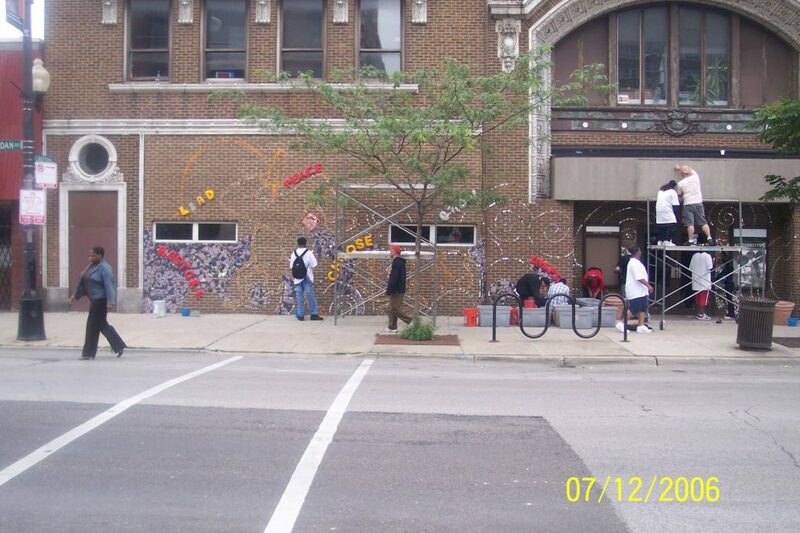 Following the Uptown Youth Center façade project, Alternatives youth worked with the same artists from the Chicago Public Art Group and various other artists and community residents over the next 3 summers (youth employment projects) on the underpasses of Lake Shore Drive on Bryn Mawr in 2007 & 2008, and on Foster in 2009.